Free Credit Repair - Stop paying for credit repair! Get the good credit you deserve! We offer highly effective, proven results at no charge! Has your credit score been holding you back from purchasing a home, contact me today. We will examine your credit and tell you what you need to do to purchase a home. We will continue to work with you to repair your score. There is no charge for this service. When you purchase your home the seller pays my commission. Our service will help you remove any inaccurate, erroneous and obsolete information in your credit file. A Higher Credit Score Will Bring Better rates on Mortgage when you purchase. Have you signed up with a credit repair company? Have you been paying $25 - $99 for the last 4 months with out results? Are you paying for monitoring services to monitor no results? Credit repair companies work. They charge you a down payment ( I have heard as high as $1500) and a monthly fee. They are run by lawyers and better business bureau companies. 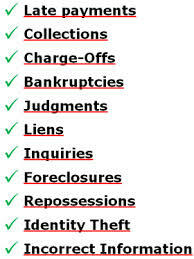 Most credit repair companies will challenge everything on your credit once. This raises your score 20 points in the first month. So it worked. Then they explain that it will take another 6 months to bring the score higher. After 6 months of payments, you see no more results. If you would like to pay 6 months for a 20 point raise in your score it works. Problem is, there are things on your report that can not be repaired. If you owe a high balance on a credit card, credit repair can not help. You have to pay down debt to increase your score. Have you experienced a damaging credit event like a foreclosure, bankruptcy or short sale, find out when you can qualify for a mortgage again below. We tell you what needs to be done so that you can purchase a home and qualify for down payment assistance. The minimum score needed to purchase a home is 580. Some lenders will ignore things on your credit depending on how long it has been on report. It may take you 1-6 months to get everything in line, we will be with you every step of the way, no charge. We tell you what to payoff and what not to touch. You can use the monthly payments you use to pay for credit repair to pay down debt or to help with your down payment on your new home. Dismissed bankruptcies are reportable for the same length of time; however, the status must be reported as dismissed. Open - Reportable for twelve (12) years from the date of entry. Paid - Reportable for seven (7) years from the date of entry, regardless of the date paid. Open - Reportable for as long as it remains filed against the consumer, without limitation. Paid - Reportable for seven (7) years from the date paid. Reportable for seven (7) years from the date that it was placed for collection or the date charged off, regardless of the date paid. Will my FICO score drop if I apply for new credit? If it does, it probably won't drop much. If you apply for several credit cards within a short period of time, multiple inquiries will appear on your report. Looking for new credit can equate with higher risk, but most credit scores are not affected by multiple inquiries from auto, mortgage or student loan lenders within a short period of time. Typically, these are treated as a single inquiry and will have little impact on the credit score. When you apply for credit, you authorize those lenders to ask or "inquire" for a copy of your credit report from a credit bureau. When you later check your credit report, you may notice that their credit inquiries are listed. You may also see listed there inquiries by businesses that you don't know. But the only inquiries that count toward your FICO score are the ones that result from your applications for new credit. Does applying for credit affect my FICO score? Fair Isaac's research shows that opening several credit accounts in a short period of time represents greater credit risk. When the information on your credit report indicates that you have been applying for multiple new credit lines in a short period of time (as opposed to rate shopping for a single loan, which is handled differently as discussed below), your FICO score can be lower as a result. which version of the FICO scoring formula it wants the credit reporting agency to use to calculate your FICO score. If you need a loan, do your rate shopping within a focused period of time, such as 30 days. FICO scores distinguish between a search for a single loan and a search for many new credit lines, in part by the length of time over which inquiries occur. · Pay bills on time. · Keep balances low on credit cards and other revolving credit products. · Apply for and open new credit accounts only as needed. Also, here are some good credit management practices that can help to raise your FICO score over time. · Re-establish your credit history if you have had problems. Opening new accounts responsibly and paying them on time will raise your FICO score over the long term. · Check your own credit reports regularly, before applying for new credit, to be sure they are accurate and up-to-date. As long as you order your credit reports through an organization authorized to provide credit reports to consumers, such as myFICO, your own inquiries will not affect your FICO score. FICO score. For most people, one additional credit inquiry will take less than five points off their FICO score. For perspective, the full range for FICO scores is 300-850. Inquiries can have a greater impact if you have few accounts or a short credit history. Large numbers of inquiries also mean greater risk. Statistically, people with six inquiries or more on their credit reports can be up to eight times more likely to declare bankruptcy than people with no inquiries on their reports. While inquiries often can play a part in assessing risk, they play a minor part. Much more important factors for your score are how timely you pay your bills and your overall debt burden as indicated on your credit report. 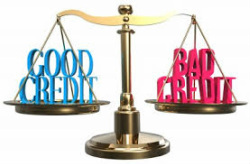 Does the formula treat all credit inquiries the same? No. Research has indicated that the FICO score is more predictive when it treats loans that commonly involve rate-shopping, such as mortgage, auto and student loans, in a different way. For these types of loans, the FICO score ignores inquiries made in the 30 days prior to scoring. So, if you find a loan within 30 days, the inquiries won't affect your score while you're rate shopping. In addition, the score looks on your credit report for rate-shopping inquiries older than 30 days. If it finds some, it counts those inquiries that fall in a typical shopping period as just one inquiry when determining your score. For FICO scores calculated from older versions of the scoring formula, this shopping period is any 14 day span. 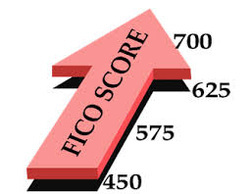 For FICO scores calculated from the newest versions of the scoring formula, this shopping period is any 45 day span. Each lender chooses which version of the FICO scoring formula it wants the credit reporting agency to use to calculate your FICO score. What to know about "rate shopping."